Many services are included in our prices; there's no surprises on arrival. We don't charge for linen, the use of lockers, towels or Wi-Fi. What are you waiting? 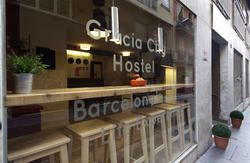 Better conditions, impossible!This is a natural and peaceful hostel in Barcelona. Here you'll find a friendly, fun and warm atmosphere in a big old house built at the turn of the 20th century. Our guest house has large sunny bedrooms, clean bathrooms and a colourful and fully equipped self-catering kitchen.When you stay at Garden House Hostel you don't have to worry about bringing your sleeping bag, since the beds have clean sheets when you get here. In winter we also provide you with blankets, seeing that it can be quite cold in Spain. For summer, please bring only your beach towel, as linen and towel are included.Our kitchen is fully equipped with pots and pans, crockery and cutlery, so you can enjoy yourself inventing a new dish or try out some of the Spanish cuisine. You can chill out in the garden of one of the best hostels in Barcelona, sunbathe on the roof terrace or relax with a glass of wine on the comfortable sofas in the lounge.You can enjoy your own book or read someone elses book from the book swap. Our lounge is a good place to make new friends whilst chilling out or planning your next destination. Its important to stay in contact with friends and family and to plan your journey ahead, so all of this can be done by using one of our great computer. And if theres a queue for computers, you can also use our telephone facilities.Our staff are really warm and friendly, informed, helpful and multilingual, providing 24hr reception. 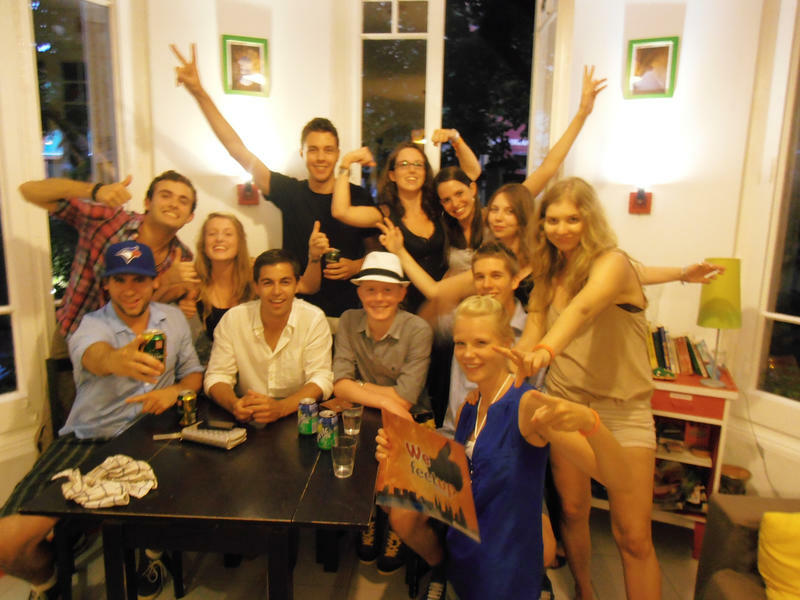 As our guests come from all over the world and not everyone speaks Spanish, we can help you out in English, Italian, French, Dutch, Flemish, Spanish and German. 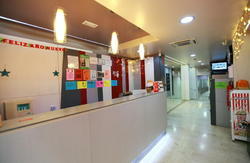 This is the ideal spot if you want to meet people in a quiet and international place. 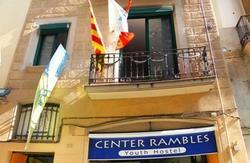 Located in the district of Horta, were just five minutes walk from 'Valldaura' metro station on green line 3.When youve finally decided where youre off to next, you can always leave your luggage with us free of charge so that you dont have to carry your backpack around while youre waiting for your bus or train or plane!It's time to put your feet up!Please also note that for arrivals from 1st November 2012 there will be a 0.75â‚¬ city tax per person per night, which is not included in the price.People under 17 years old are exempt. The rate applies to a maximum of seven nights stay per person. This must be paid on arrival.Please note that guests younger than 18 years of age and travelling alone and guests with children under the age of 10 must book a private room. Please see our T&Cs below.NOTE: For bookings arriving from 1st November 2012, there is a 0.65 EUR+10 % = 0,72â‚¬ per personper night, which is not included in the price. People under 17 years old are exempt. The rate applies to a maximum of 7 nights stay per person. This has to be paid on arrival. From Estacio del Nord bus station: Take the red line (L1) metro from Arc de Triomf in the direction of Hospital de Bellvitge. Get off at Catalunya station and transfer to the green line (L3). Get off at Valldaura station. When you get out the station, keep walking at the same direction and turn right at the second street, Calle dHedilla. We are at number 58, on the left hand.From Sants Estacio Train Station: Take the green line (L3) metro in the direction of Trinitat Nova. Get off at Valldaura station. When you get out the station, keep walking at the same direction and turn right at the second street, Calle dHedilla. We are at number 58, on the left hand. It is only 20 minutes! It will cost 2.From El Prat Barcelona Airport:...by train: There is a train from the airport to the centre of the city. It takes only 25 minutes. If you buy a T-10 or T-day (please see useful information below) you can use it for this train. If not, it will cost 2.60. You have two options. The faster route is to get off the train in Passeig de Gracia. From here take the metro Line 3 in the direction of Trinitat Nova and get off in Valldaura Station. The other option is to get off the train in Barcelona Sants and then take metro Line 3 in the direction of Trinitat Nova and then get off in Valldaura Station. When you get out the station, keep walking at the samedirection and turn right at the second street, Calle dHedilla. We are at number 58, on the left hand....by Aerobus:Outside of every terminal you will find a blue bus called Aerobus, which will take you to the centre of Barcelona. The journey takes about 20 minutes and costs 5,30. Get off at Plaza Catalunya and cross the main square. In front of you there is a building called El Triangle and Caf Zurich. Opposite Caf Zurich you will see the metro station where you will have to take the green line (L3) direction Trinitat Nova. Get off at Valldaura station. At the exit, continue walking in the same sense you leave the station and turn right at the second street (Calle d'Hedilla). We are at number 58, which will be on your left hand side....by taxi: To take a taxi from the airport will cost you around 20 or 25, but it depends on the taxi driver. Useful information:There are several types of travel cards you can buy, depending on how long you're staying in Barcelona. A T-10 is 9,25 for 10 journeys. The T-Dia is 6.95 for one day of unlimited journeys.A single metro ticket costs 2 and you can transfer between stations within 1h15mins. These tickets are available in metro stations, bus terminals, lottery shops, FCG stations and newsagent kiosks. Please note that you can use the T-10 and T-Dia on the bus, metro, trains, Rodalies Renfe and on the night bus.